Your clapotises (hmmm, that can't be right) are really beautiful. 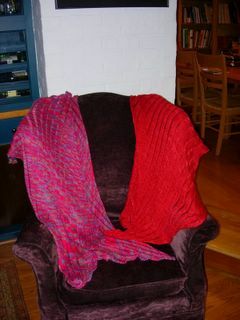 I have been wavering back and forth about starting clapotis. 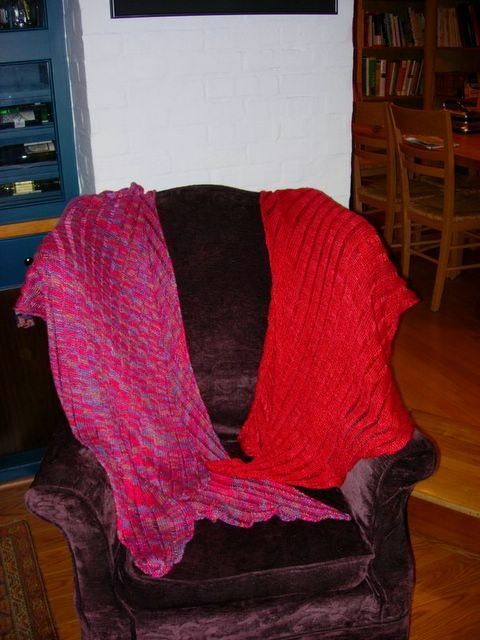 What yarn did you use on the one on the left? It's pinks and purples.